Cleanup crews had to drain the remaining chocolate to upright the tanker. Willy Wonka's Chocolate Factory isn't the only place to house a river of chocolate. (Arizona Dept. 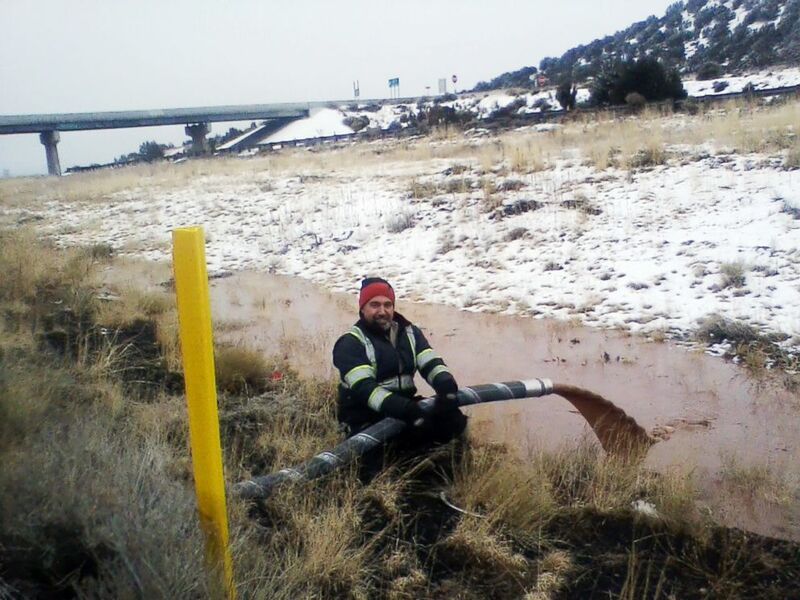 of Public Safety) Interstate 40 near Flagstaff, Ariz., was covered in a river of chocolate after a tanker trailer overturned in the morning of Jan. 14, 2019. "This will be a sweet cleanup!" the Arizona DPS wrote on Twitter. ABC News' Jen Harrison contributed to this report.